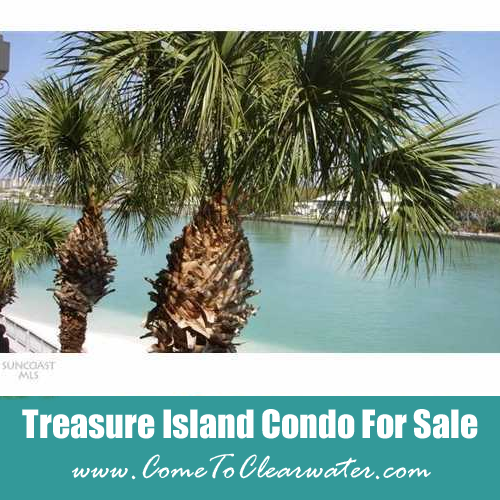 Enjoy Treasure Island beach living at its best, from this tastefully remodeled Treasure Island condo for sale in the desirable gated community of Lands End. This lushly landscaped property features a large heated pool, Jacuzzi, barbecue grills, tennis, volleyball and shuffleboard for resort-style living. A short walk down the private pathway takes you directly to the beach! The unit features neutral tile flooring, totally remodeled maple kitchen with granite counters and quality stainless appliances. The long breakfast bar overlooks the bright and spacious living room. Sliding glass doors from the living room and master bedroom lead to a private balcony with stunning intracoastal views. Stylish, spacious bedrooms and an inside washer and dryer complete the package! Minimum rental period is 7 days and pets under 35 pounds are permitted.